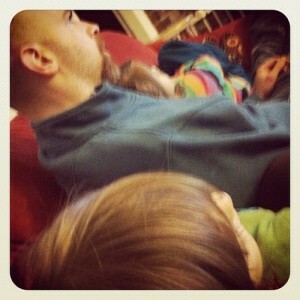 Family snuggle on the couch. We aren’t watching the globes! My family, mongo and his dogs with sunglasses, and punk. First family ride this year and first for Willa ever!